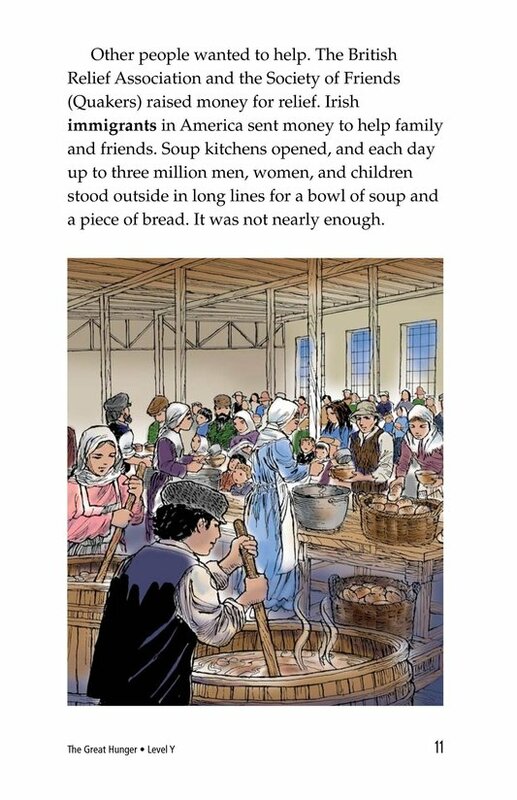 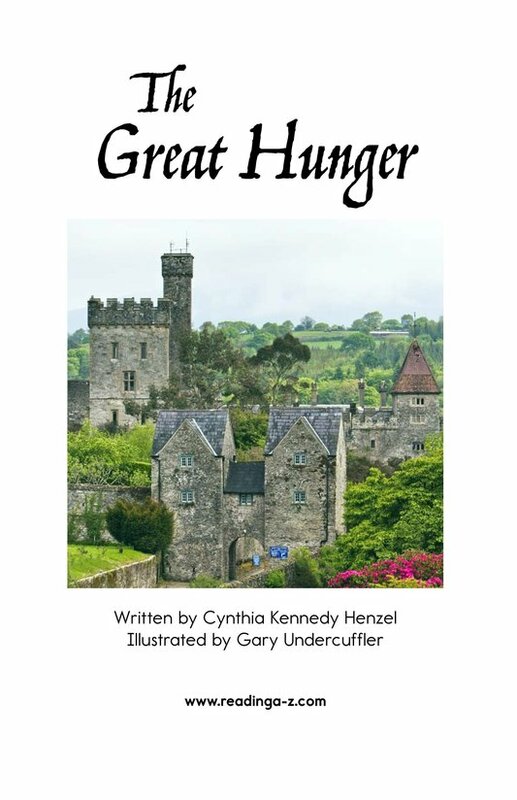 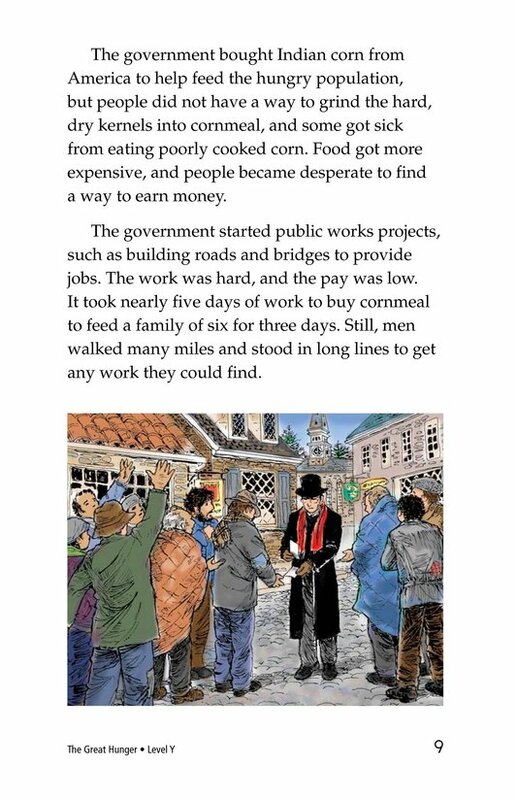 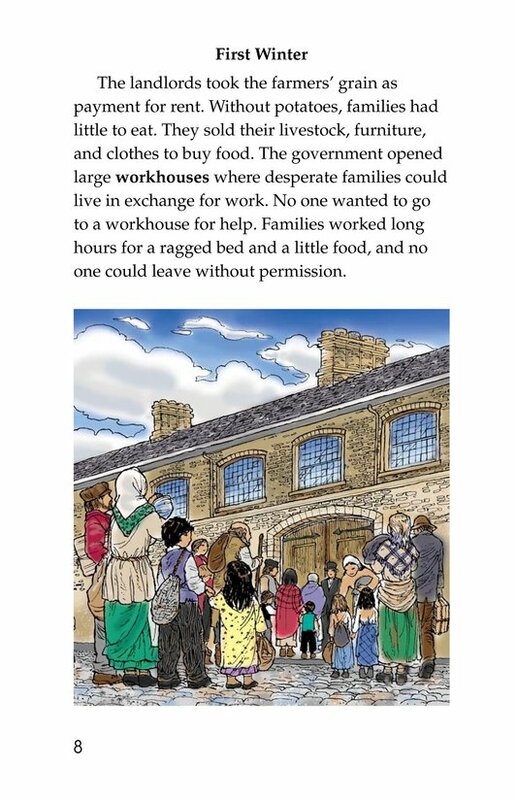 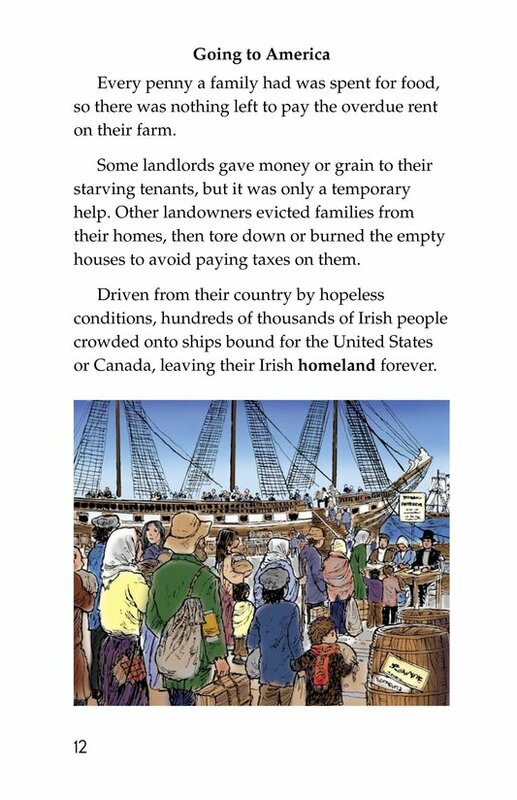 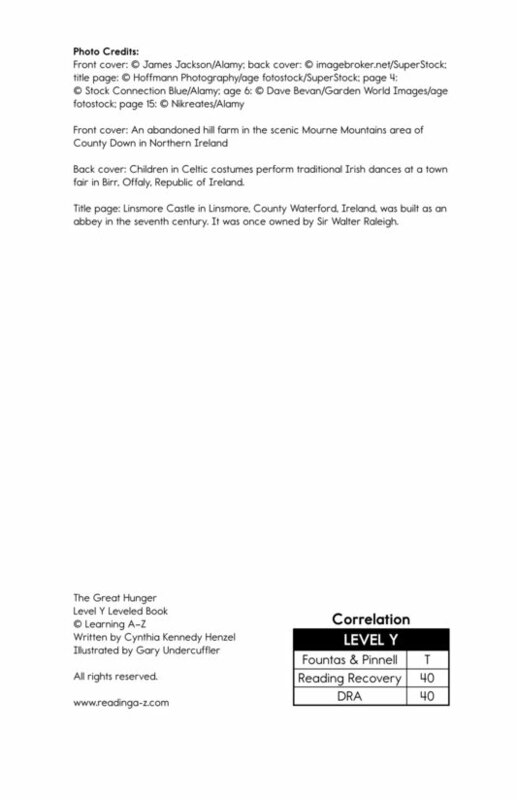 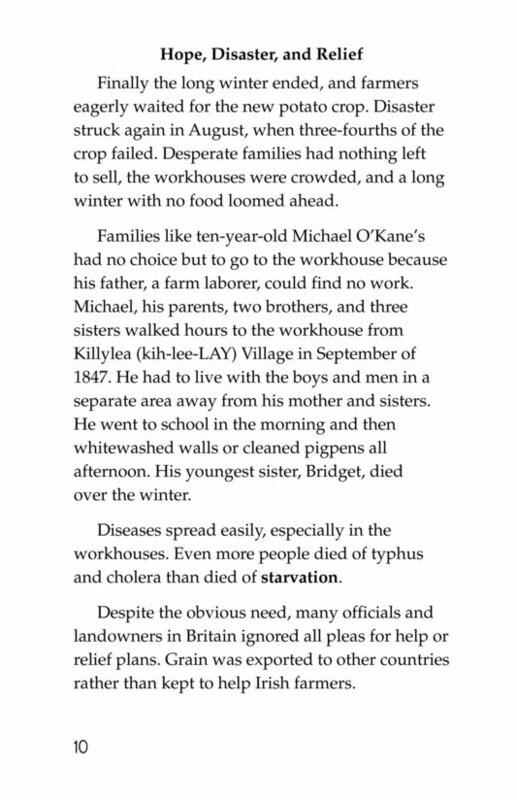 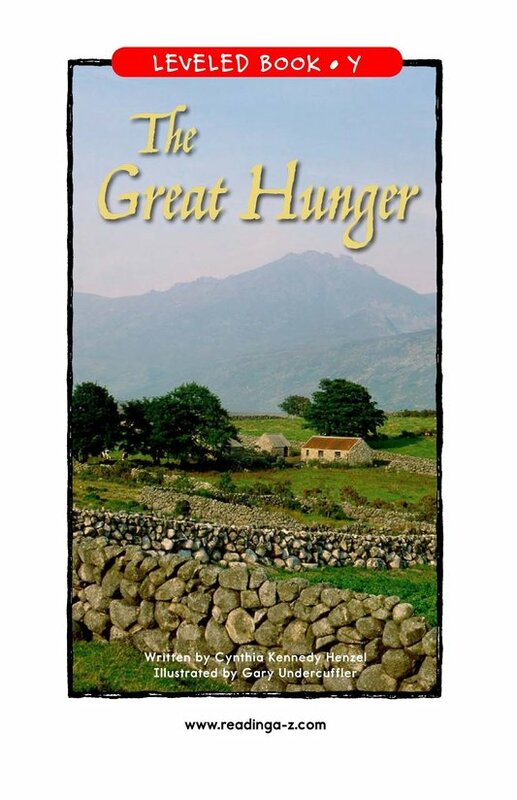 The Great Hunger informs readers about the famine that swept across Ireland during the mid-1800s. 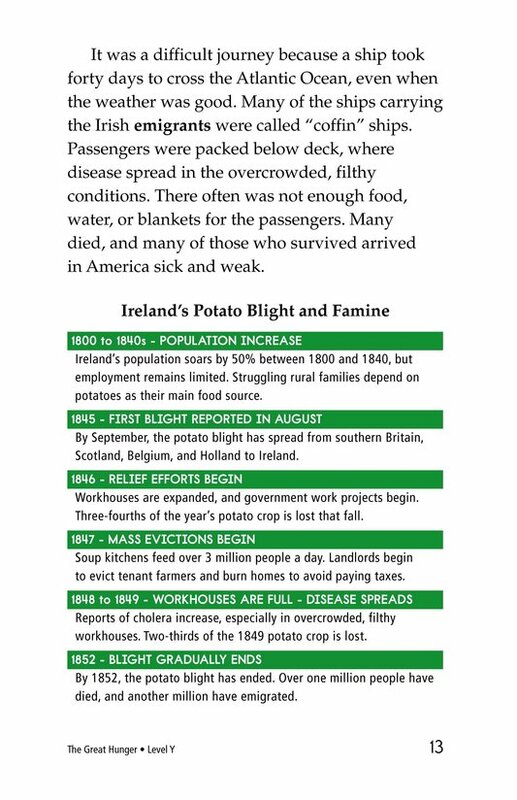 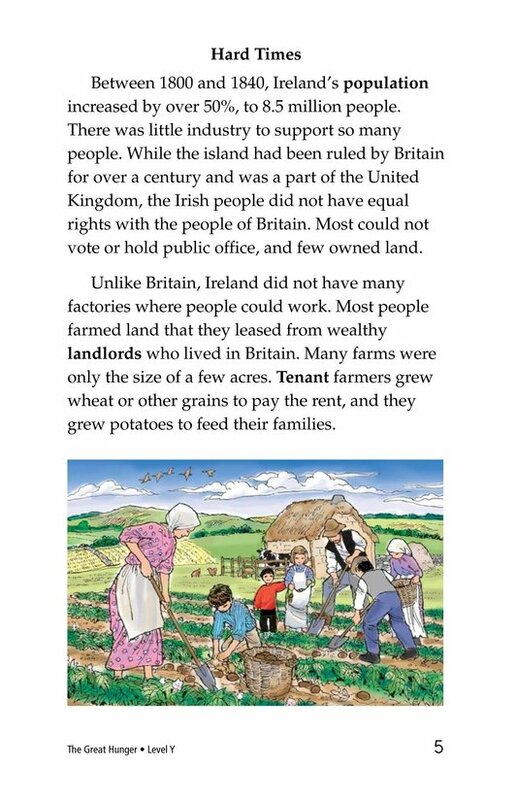 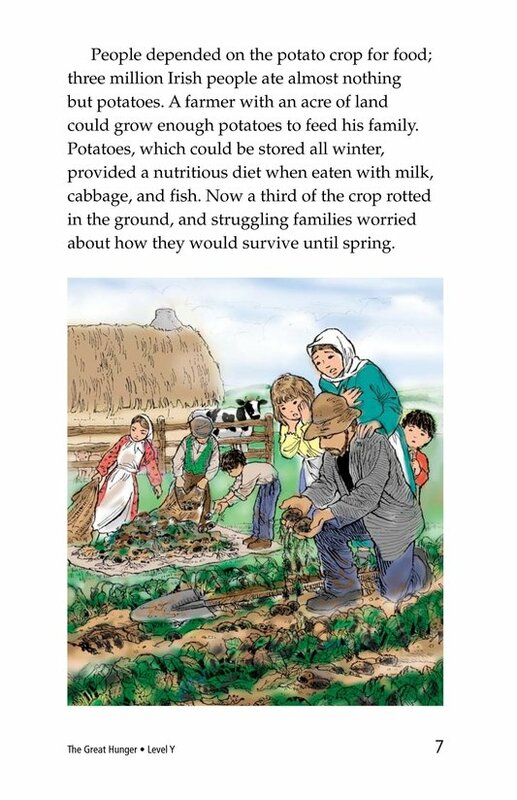 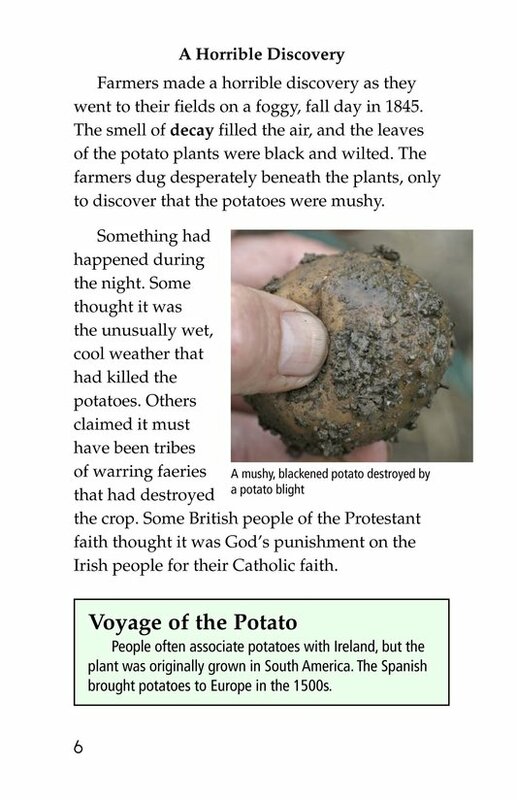 Potato blight left poor tenant farmers with nothing to feed their families, but they were still forced to work the land and export grain to their landlords in Britain. 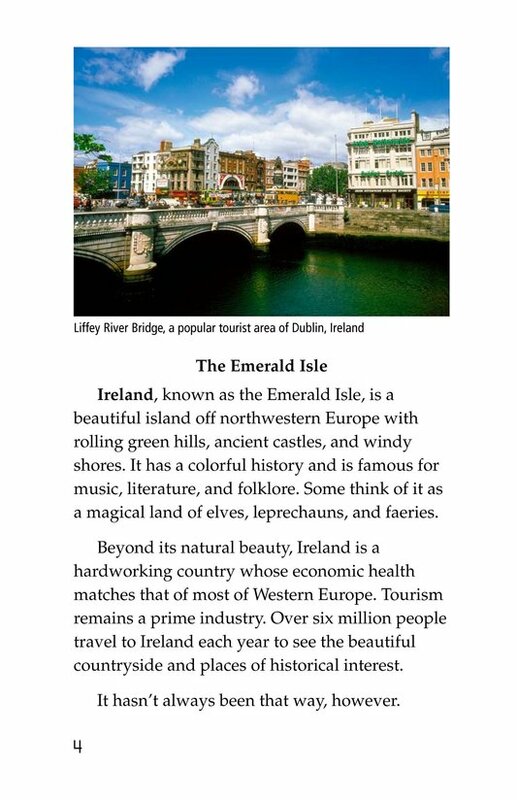 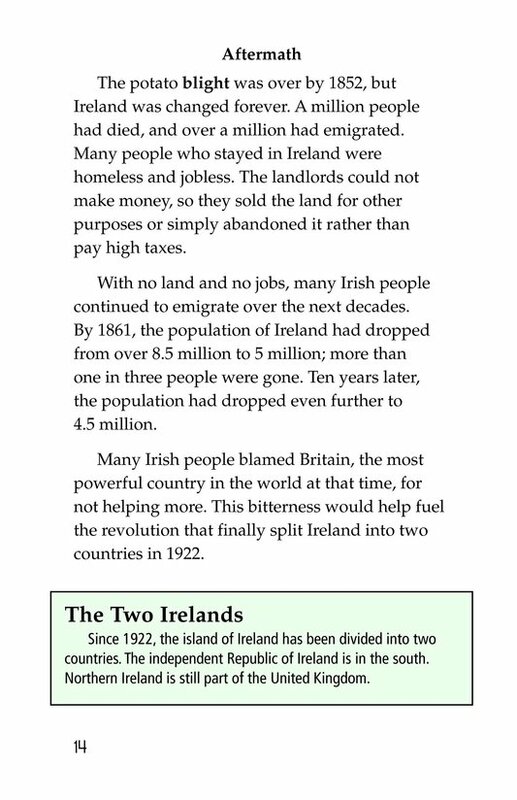 Over the course of sixteen grueling years, Ireland's population dropped from over 8.5 million to 5 million. 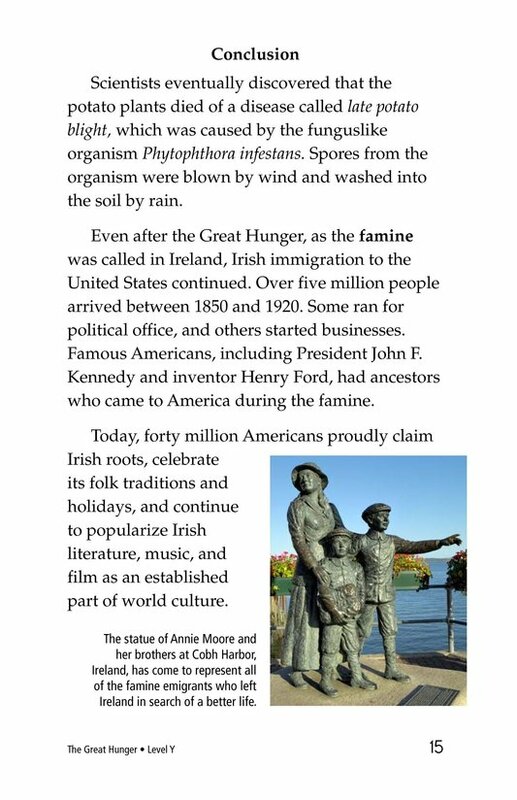 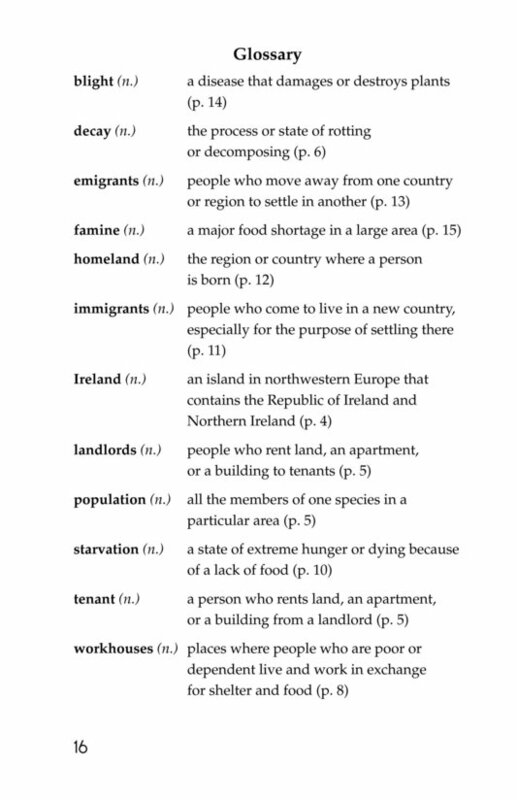 People died from starvation and disease, and millions more emigrated to the United States for the chance of a better life. 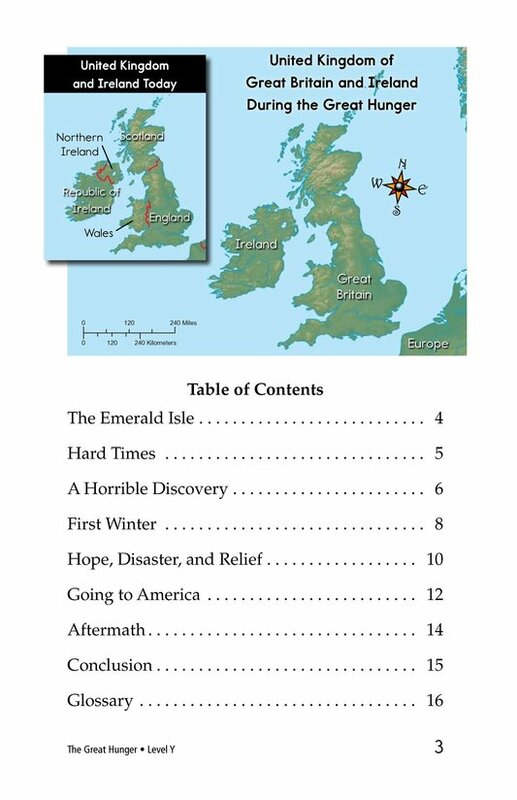 Photographs, illustrations, and maps support the text.